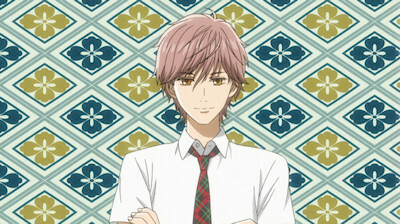 With the national karuta contest out of the way, where next for Chihayafuru and its bunch of lovable wannabe masters? Recap-land, that's where, as this episode spends most of its time retreading the ground covered so far. Unfortunately, Chihayafuru seems to be a series that doesn't sit well with such a condensed treatment based on the evidence of this instalment - it feels dull, clunky and stripped of much of the emotional investment and characterisation which have underpinned the series throughout, with major events skipped over in favour of focusing on the karuta side of things itself. Put simply, it really doesn't work. In fairness, and in an attempt to at least offer something new to those of us who've stuck with the series throughout thus far, this episode also attempts to entertain us via a number of short skits which break up the recap segments - these are okay if unspectacular, with only the final gag in the series really getting a laugh out of me in the midst of a lot of obvious or slightly over-stretched jokes. It's better than nothing though I suppose, although why this series even needed a recap beyond giving an opportunity for the production staff to have a little respite from their hard work is beyond me. Hopefully we'll be back to the good stuff again next week, because I'm very much in need of my weekly dose of Chihayafuru these days.